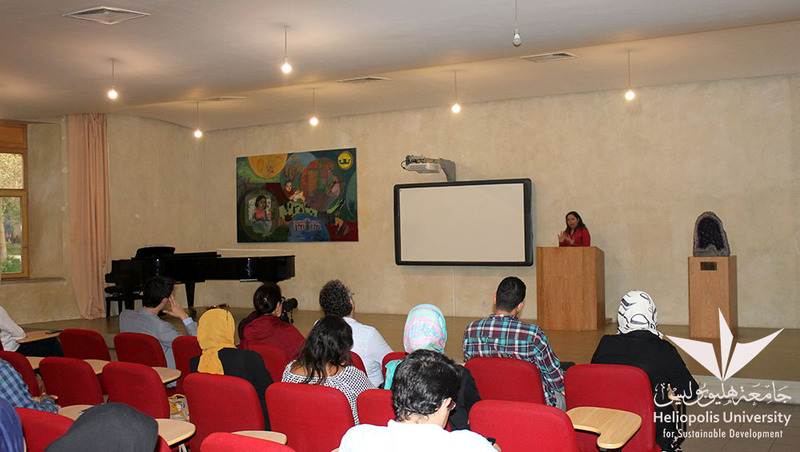 In the scope of the ongoing events of the Space of Culture, Heliopolis University for Sustainable Development hosted an art exhibition by the Egyptian artist Lina Osama. In the light of the first autumn sun, large paintings were shining at the walls of the main hall of the Business Department; mainly portraits drawn on abstract, yet colorful backgrounds. Every painting tells a story out of the life of the contemporary visual artist. Lina Osama studied Egyptology and Painting at Cairo University. Meanwhile, she participated in more than 40 exhibitions in Egypt, Austria, France, and Morocco. Together with friends, the artist has founded a series of exhibitions entitled “Living Units of Humanity’’. “The idea of that project was triggered by the incidence of the Egyptian revolution. During this period, I noticed the necessity of building bridges between people of different ideologies and backgrounds to foster a peaceful society,” Lina Osama explained. Hence, her vivid paintings reflect humans as equal units of life despite their diversity. After her speech, the painter sat with some attendees to discuss her artworks more into detail. She described her motives and feelings behind each painting, which were influenced by her pregnancy, motherhood, and deep belief in humanity. 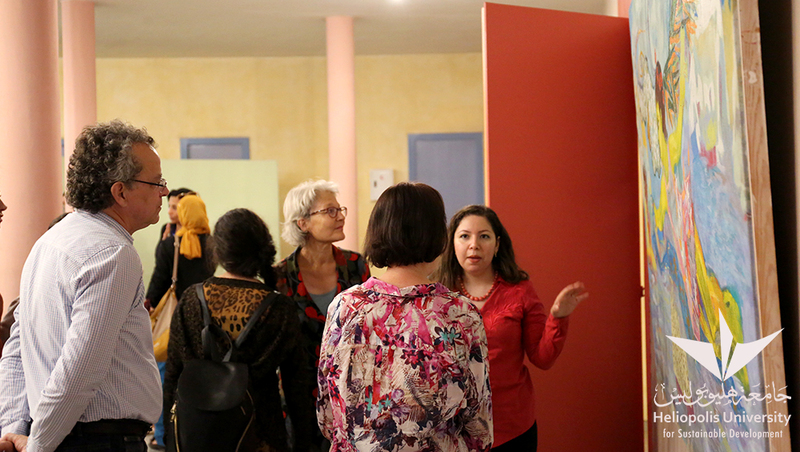 With the exhibition, Lina Osama did not only address many topics that the people could relate to, but mainly stressed on the meaning of unity and diversity as well as the potential of the future – exactly those impulses that the Space of Culture aims to focus on through its different activities.